Liying is a successful business lady who runs her own IT company since she was 17. She needs a strong businessman who can be her partner and a lover. Ying Ling is an independent, elegant, tender, sweet girl with a compassionate, caring, generous heart. She likes swimming, diving, shopping and traveling. Jiayue is a passionate, lovely, sweet, honest young lady who likes outdoor activities like riding horses. She is a big fan of nature and believes in true love. 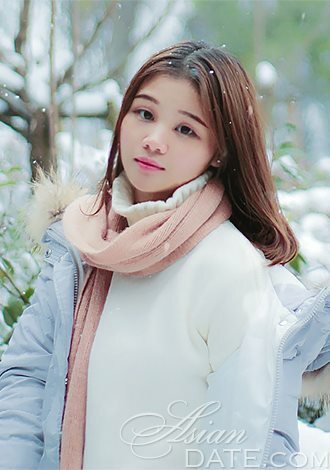 Binwei is a sweet, lovely, honest, faithful girl. She likes swimming, taking photos and reading books. Judy is a clever and kindhearted lovely girl. She likes to read and to go to museums and libraries. Yilia is an intelligent young lady. She is a big fan of books and movies. Her wish is to meet a man who will show her love and respect. Elin is a businesswoman and her biggest dream is to travel around the world with her future partner. She likes to help people and to make them happy. Ke Xin is a romantic girl who wants to meet her prince charming. She is ready to fall in love and to start a big happy family with her soulmate. Meng Yi is a serious lady who believes that everything in life happens for a reason. She dreams about a nice, beautiful man who will love her more than anything. Hong is a nice and funny young woman who wants to meet a special man. She wants to be the center of his life. Amy is an optimistic, positive, and very polite young lady. She hopes to meet a man with a big sense for traditional values. Family and friends are very important to her. Yan Yan is a lovely , kind, independent young lady. She loves to read fashion magazines, watching movies, traveling, and cooking. Xuan Chen enjoys traveling, nature and outdoor activities. She wants to find a simple man and start a nice family. Laura is a sweet and gentle, easy going girl. She enjoys in the long walk through woods. Her biggest wish is to meet a nice man and to start a family with him. Yantig is a nice, polite young girl. Her family and friends are her biggest support in life. Lulu is a simple young girl with a big smile on her face. She wants to find a partner who will love her and make her smile every day. Surabhi is an optimistic, energetic and creative person. She loves to read and a good book helps her to relax. Sonali is a romantic, warm-hearted, well-educated and optimistic girl. Her favorite sports activities are golf and bowling. 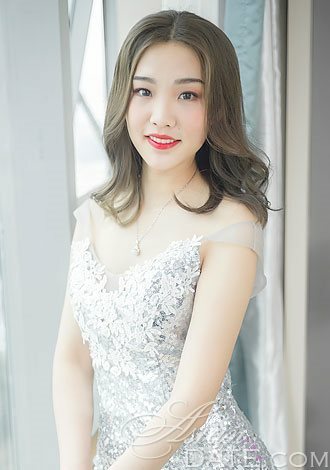 Hongli is looking for a man who will make her feel like a princess. She is a beautiful, sweet young lady. Yingman is a simple, happy woman. She hopes to find a man who will understand her and make her happy. 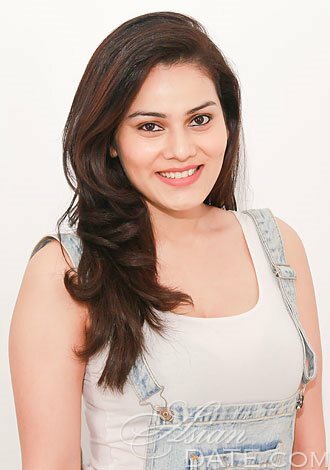 Simranjeet is an easygoing and confident young woman who believes in destiny. She dreams about a nice big family with a nice man. Mihao is a cheerful, lovely girl who likes swimming, singing and traveling. 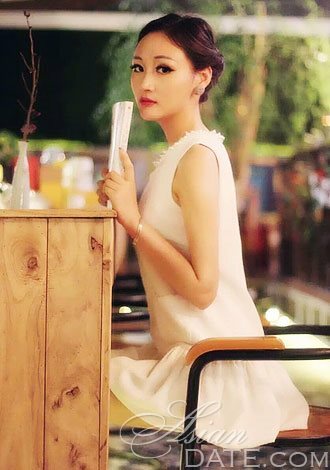 Lihua is a young girl who believes in love and hopes to find a man with whom she'll spend her life. Anupama is an intelligent young woman who likes long conversations about various things. Linzhi likes swimming, shopping, and computer video games. She is well mannered and wants to meet a nice man. Jincui is a traditional Chinese lady who is kind-hearted, friendly, tender and considerate. She likes to smile and believes when people are smiling life gets easier. 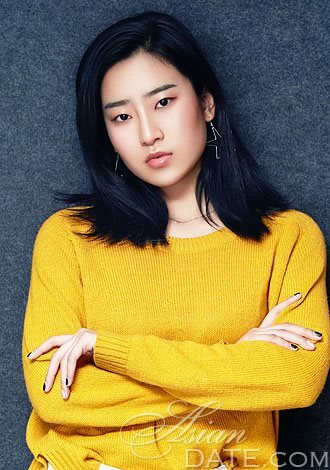 Hongni is a loyal, honest and independent young woman who wants to find someone who will support her. Shuyi is a tender young girl who dreams about long term relationship with a nice man. Yijun is a beautiful Chinese girl with traditional values. She wants to meet a real gentleman who will love her and make her happy. Yansong is a girl who likes to smile and to make her friends happy. She works as a nurse in a local hospital and her job is very important to her. Xueni is an honest, loving, passionate, romantic and intelligent young lady who likes to travel all around the world. Shuangshuang's hobbies are traveling, climbing, singing, dancing and swimming. She is an active girl with lots of interest in various things. Xiaoli is an open-hearted, sweet girl. She spends most of her time in the gym, doing yoga and pilates. Yoyo is a beautiful professional dancer. She is mature and independent but wants to meet a man of her dreams. Ang Nguyet is an optimistic and honest lady. She has a good sense of humor. Dang has a big heart and likes to share her love with her relatives and friends. She loves children and animals. Chengjia is an independent young chef. She owns her own small restaurant and that's her biggest love. She hopes to meet a real man who knows something about gastronomy. Shuang enjoys life as much as she can. She loves to get up in the morning and do yoga or pilates. Chen is a kind, confidence, passionate woman. She dreams of a romantic relationship with a real gentleman who will treat her like a queen. 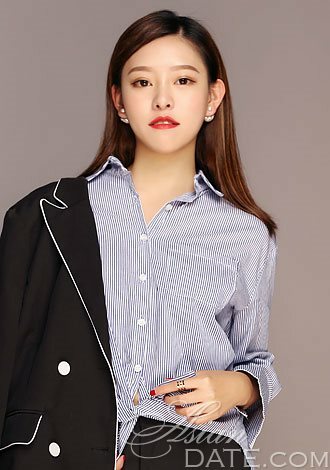 Qian is a succsesfull businesswoman. Racing cars, formula, and motorcycles are her biggest obsession. She describes herself as an adventurous young lady. Sari loves to travel and to take photos of the beautiful places she visits. She enjoys spending her free time at home with her friends and family. Jing has a hard life but she is always enthusiastic. She believes in true love and hopes to meet a man of her dreams. Chenyan favorite place is the city library. Her dream is to meet a man who loves books and art as she does. Chayanid is a communicative young lady with a big talent for drawing. She wants to travel around the world and to meet various foreign cultures. 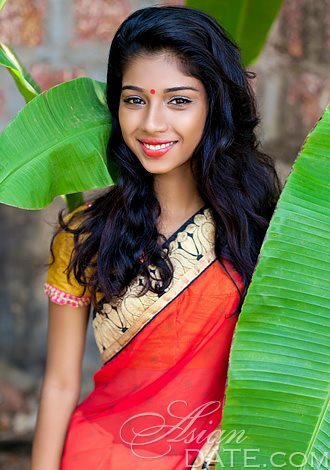 Kirti is a traditional Indian woman with big dreams about her love life. She wants to meet a real gentleman. Tina is a nurse and helping people isn't just her job. She really enjoys it. She is learning English and German and hopes to visit Europe very soon. Kemmik says for herself that she is more mature than she looks. She loves movies and books, especially about science. Ya is a shy and quiet young girl, but when she is in love she is very sentimental and cheerfull. Hillary believes in romance and will never give up on finding true love. She thinks every day is brighter with the one you truly love and your future can only be fulfilled with your true love by your side. 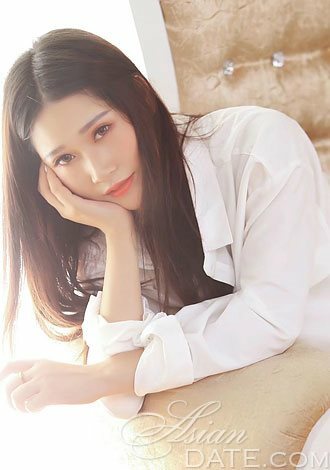 Jinhui is a young businesswoman who likes to go out with her friends but now is the time for her to meet a nice man with whom she can start a family. Janting loves to do all the things that keep her body and mind healthy. She likes to play tennis and long walks on the beach. Meizhen is a confident, independent, open-hearted girl with a big smile. She thinks that love is the most important thing in life. Jie likes to travel, do yoga, running, photography and, painting. She wants to fall in love with a handsome man. Anisha likes to laugh and humor is a big part of her life. She wants to find a man who will take her on a trip around the world. 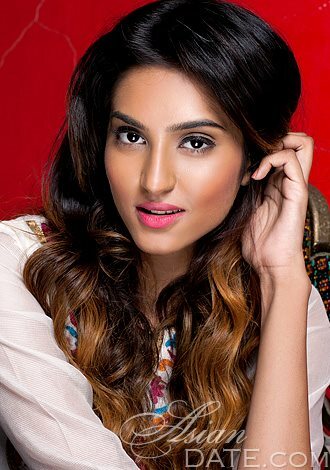 Shweta is a modern young woman with traditional values. She has a big family and they are very important to her. Cui Xia is a nice young woman with a big heart. Helping people is her great passion. Jing is an independent young woman, with a successful career. All she now needs is a man who will love her and respect her. Cassie likes to play tennis, badminton, swimming and riding a bike. She loves to watch good movies, and enjoy the good music. Yanyun is an outgoing, optimistic, active, humorous, passionate and well-educated girl. People around her say that she is an elegant and very polite young lady. Xiaojuan likes to travell around the country and takes pictures of amazing natural beauties. She likes going out with her friends and dancing in the clubs. Ping is a young lady with manny hobbies like photography and painting. She wants to find a nice young gentleman who will take care of her. Nishika is very positive and believes only in good. She thinks that life is a big adventure and wants to enjoy every minute of it. 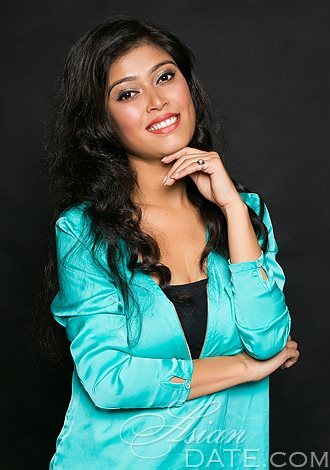 Roshni is a serious and ambitious person, she likes animals and nature. Want to meet a man who will love her for the rest of her life. Mamata likes cooking and making dinners for her friends and family. She learns Spanish and German and hopes to have a big family someday. Weiwei is a successful businesswoman, she likes shopping and traveling. Xiaoxin is an elegant young woman. She likes to travel and to learn about foreign countries. Meixiang is a sweet, beautiful and simple young woman. She is ready for a serious relationship. Bandana likes hiking and spends most of her free time in nature. She is always happy and her friends are very important to her. Shaikh is a tender, kind, open, sincere and emotional girl. She likes children and hopes to have a big family with a nice man. Xinzhu likes all sports, traveling, mountain climbing and other outdoor activities. She is a very cheerful young lady. Yujiao is a simple young lady. She sings every day and loves to entertain her friends. 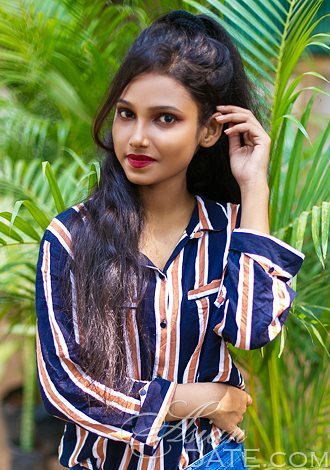 Rani is a modern woman who likes computer games, movies, and music. Jeswathi is a very helpful young girl, she likes music and nature. 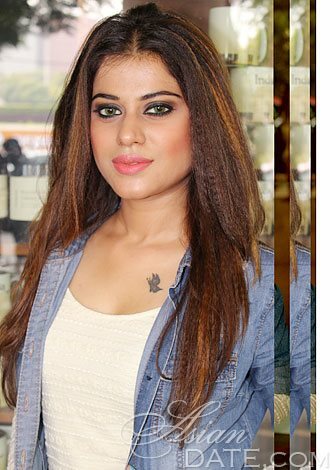 Shweta is a kind, sincere and curious person. She is well educated and can make you laugh. Pawaar is a spontaneous, adventurous and romantic woman and needs a strong man in her life. 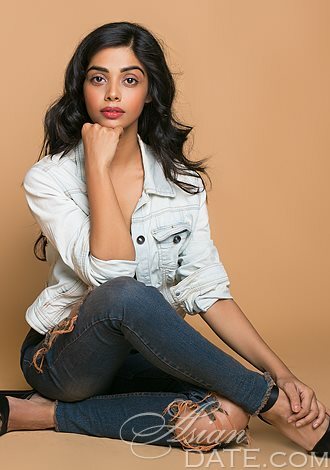 Poonam is an elegant young lady. She likes to learn new things and to read books. 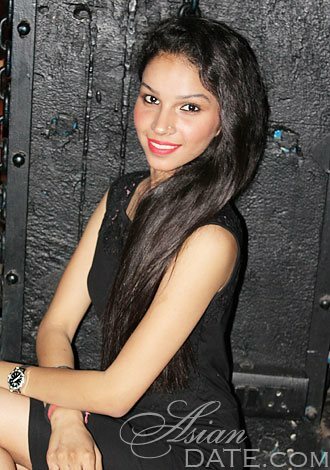 Sanika is a very optimistic and sincere girl. She considers herself a very reliable person. 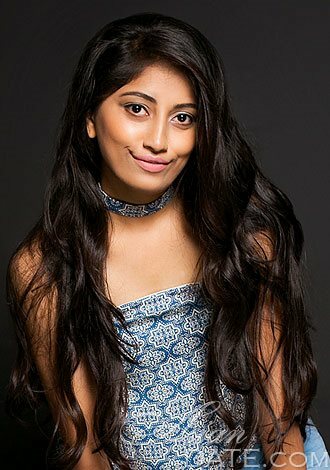 Pooja says she isn't perfect, but she is honest, sincere, and knows the value of words such as devotion, loyalty, compassion. Aisamal likes to communicate with different people. She is a responsible person and tries to help people if they need her help. Xuyuan loves life and natural scenery, she climbs mountains occasionally. Panyuan is cheerful, bright, stylish, slim, friendly, and smiling woman. She never gives up and the end is always a new beginning for her. Siqi is outgoing, open and full of love. She would love to be loved and be close with her man. Gu Zha Li thinks it's very important to be nice to others and has a very mild temper. TingTing is a lively and cheerful girl who likes making friends with others. She is also very helpful. 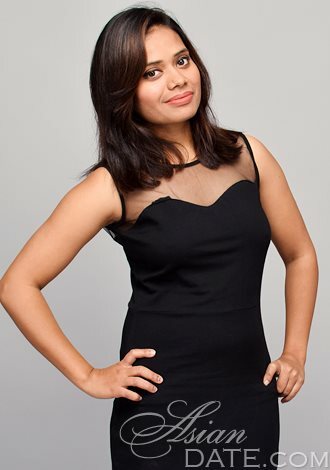 Jyoti is simple, easy going, loves to smile and likes to explore. She also loves the challenge. Ravina is an open, sincere and kind girl, waiting for her chance to be in love and find her future man. Qinwen is a sweet and passionate girl, very nice to others and a person with a good personality. Yang is an open-minded, optimistic, and kind lady. She claims to run several companies in China what made her very rich. Find out more on AsianDate. Huiyan is a very well educated and balanced person. She has traveled all around China, and wants to visit other countries now. Linxue is a simple girl, lovely, cute and sweet. Shivani is a girl, just a tender creature with the great universe inside, who believes in ultimate goodness and truth. Haifeng is caring, she always hopes everyone is happy. When she sees people crying, she always feels sad. If you are interested in Yang, please let her know how you are feeling after reading her profile. She has a lot to say. Ruhan says you can call her Anne. She is a simple girl, ready for a simple love. She is good looking, but more important, has a interesting soul, which is very rare. HuiMing is a easy-going and a fun loving woman to be with. She is nice, attractive and witty. 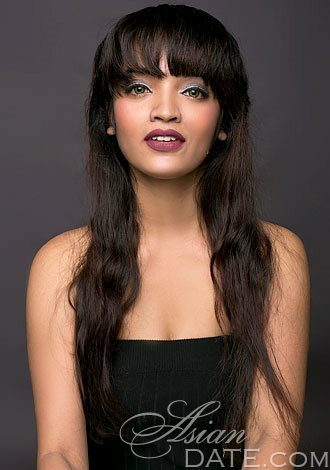 Shaikh is a serious girl, ready for a relationship with a man, whom she hopes she’ll find here. She's a tender, caring, kind, open, sincere and emotional girl. Mengjie is an independent girl. She always has new ideas. 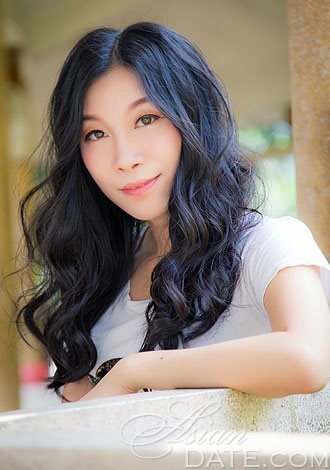 Yaoyao wants to find a gentle person, someone who cares about his family. Cong has her own life and career, she does very well, and she is an independent woman. Yanru loves swimming, because that way she can lose weight and keep a perfect figure. Jinhui has one requirement. She wants you to show her your teeth. At least she jokes that way, because she's a dentist. Liu is the only child in the family. Her father taught her to be right-minded, honest, decisive and strong and her mother taught her to be elegant, generous, passionate, and creative. 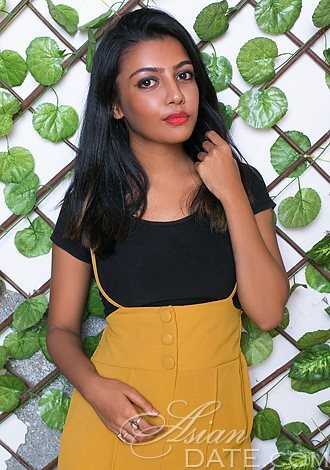 Renuka wants to start new life with her beloved man. She believes that she will find him soon and give him all of her love. wen lives in in Taiyuan, China, where she has her own company. She works in real estate, jewelry and hotels. Ting is a hard-working, thoughtful, kind and intelligent lady who is fun-loving, in a good way. 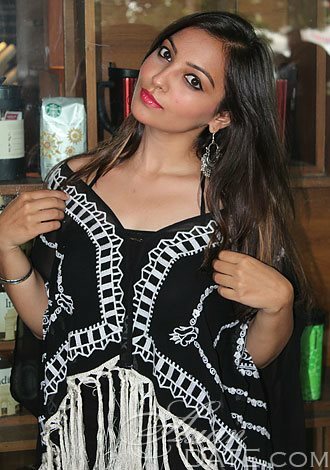 Dhanashree is an open and communicative person, she likes to be among friends, in new companies and make new acquaintances. 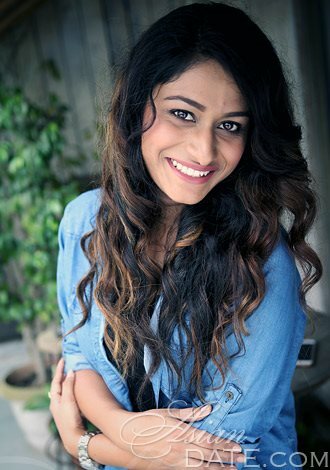 Kritika thinks honesty is the best word to use to describe herself, especially because it is so rare in the world. She invites you to get to know her and decide for yourself. Zhenming likes swimming and cooking, but most of all she would like to do all of the things with the man she loves. Jiayi is sweet and faithful. She's looking for someone who will take care of her and love her with all of his heart. Linjuan is an outgoing, positive girl who is enthusiastic about work and life. She has been working in beauty industry for many years. Huijuan is young, active, passionate and mature girl. She considers herself as a cheerful, kind, frank, sincere, not selfish and a good-tempered girl. Caixia is open and easygoing, romantic and independent. 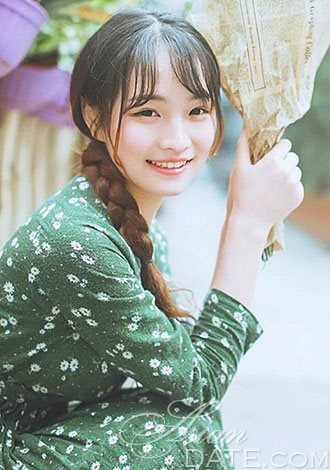 Xiaojuan's friends say her smile is as beautiful as the rainbow after storm, it always cheers them up when they are feeling down. Xue is loyal and faithful. She talks directly and she is passionate and open minded. Jiayjing enjoys a wealthy life, but she still feels lonely. As a mature person, she thinks it is time for her to begin a loving relationship with a mature man. She's convinced you'll melt if you gaze into her eyes. Are you willing to take that risk? Tian is a girl full of enthusiasm and confidence. She likes smiling and is always kind to other people. Zuoqin is positive and optimistic, she will see everything from its good side,. She also has a strong sense of responsibility. Hongli's friends all think it is easy to get along with her, because she has a very good temper. Nan is optimistic, happy to be alive. If she wants something, she will do her best to get it. Ziqi if very talented for languages. She speaks Chinese, English, French and Japanese. Nan is young but very capable in her work. She has a nice and rich family. Jiraphat is very friendly. She smiles a lot and you will never see her unhappy. Hoang Phuong Uyen is diverse. Sometimes she likes to travel, but sometimes her favorite thing is to stay at home and enjoy the downtime. Xiaomei is cute, peaceful, passionate, independent and active. 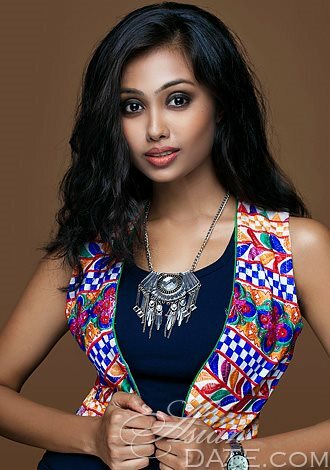 Sainan is a gentle, kind, warm, smart girl, she can go to a variety of social situations with you. But she can also be in the kitchen, make a delicious meal for you. 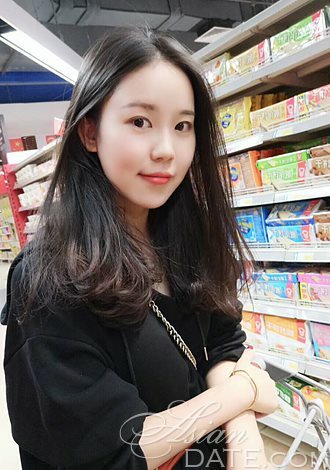 Xiaomin is seriously looking for a real and responsible man to be her life partner and forever lover. Chang doesn't like complex relationships, she likes keeping things simple, doesn't like to argue with people. Xiaoru is a warm, she likes singing, dancing, making friends. She hopes to find someone who will make her feel secure. Jenny has a big and warm family. She is sincere, hard working, independent, kind and warm. First time you see her, you may think that Jingjing is a bold and unrestrained girl, but in fact you will be wrong, she is actually really gentle and independent. Misthy is an easy going, kind, romantic and passionate girl. Yun wants to find the man that can take care of her and love her, so they will live happy life together. Harshita is a girl with a nice sense of humour, who sometimes loves to laugh carefree and loud. Mengqi is a hot and passionate, lovely girl who wansts to find a wise man to create a happy family with her. Xiaorui has her own apartment and lives alone, so if you like, she invites you to live with her. Shanshan is a loyal, sincere, passionate and family-oriented girl with a good personality. Wenyu's family inherited medicine shops, and we now have hundreds of branches across the country. Xin Yi loves traveling the world and has already visit many places. Tian loves traveling, swimming and all the outdoor activities. Yi likes fast cars and car racing, and collecting wine and artwork. Ranran is a sweet girl who has the financial stability, she lives in a very big and gorgeous villa on the beach. Ming travels often for business, but she would love to go on a romantic trip with her beloved man. Ying is a fashinable, outgoing and loving lady. She wants to help others and bring joy to people around her. Cuifang is confident, optimistic, persistent. She's a girl who loves to laugh. Li loves swimming and cooking, reading and traveling. Nguyen has a the failed marriage behind her, so she is looking for a sincere , kind-hearted man. Saya is looking for a strong man, someone to lean on. As a little girl, she used to dream about getting married. She hasn't found her perfect man yet, but she is determined to do so after going through a tough time in life. Yong Qin is open-minded and easy-going. Is she the type of woman you are looking for? Yini is a romantic and passionate young woman who has a mature heart and always believes in love and fate. Little bunny wants to say hello to you. It's funny, but that is what her friends call Shanshan, they say she is as pure and cute as a bunny. Yihang likes working, because when she works hard, she forgets how lonely she is. Ke wants to find the man who can make her happy, regardless of money or appearance. Yan is a fashionable,confident, open-minded and smart girl who is very passionate in love. Mengxiao is a lot to handle, but if you can do it, the reward is indescribable. Yi is looking for a partner, preferably someone she can have fun with. Lili loves cooking and dancing and thinks she is really mature. Tianqi's friends call her Angela because she has an angel appearance and a heart full of kindness. Mingxing is the only girl in her family and her parents love her so much. But she wants you to know she is not spoiled. Jin is a successful businesswoman, very open-minded. She loves to travel. 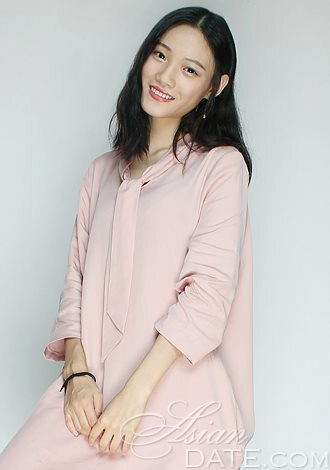 Zhijia is a lovely, elegant girl who loves to smile. Dandan is fun-loving and open, caring, kind and sincere. Clair already has your first date with her planned. She suggests camping and thinks it will be so romantic. Fengying enjoys playing music and dancing. She also likes to ride a bike to countryside and enjoy nature. Huihong is an elegant, courteous and optimistic woman. She desires to love and be loved. XingXing loves to travel and read, but her favorite thing of all time are hugs. Tongtong is a freelance writer, an artist. She likes to collect art, sketch, dance and take photographs. She lives for art. 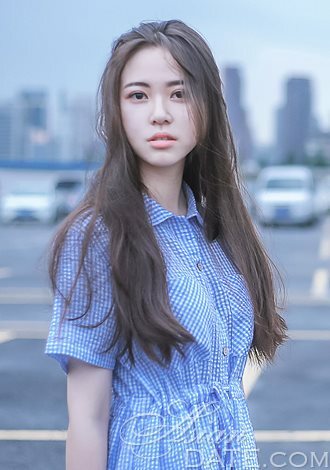 Qiong is a model and a photographer. She's devoted to art, not making money. Yang is a mature and sweet woman. She keeps a positive attitude in her life. Xiao hopes she can find her Mr Right as soon as possible. So don’t hesitate any more, let her get to know you. Lixia is a kind-hearted girl. She likes to help other people. She is caring, loving, soft and gentle. Lili is a simple, happy and passionate lady who wants to start a new life in a new place. Yixin is a business girl, very proud of herself, because she's earned everything she has by herself. TingTing is a sunny, quiet, caring, honest, loyal and hardworking girl. Ying is looking for someone humorous, romantic, passionate, and understanding. Danyi is an easygoing and open-minded girl who does everything with passion, love, and devotion. Supunnee is convinced you'll never meet another girl like her. She is purposeful, romantic, creative, and focused on family. Junjiao is a jeweler and has an overwhelmingly interesting story about her life journey. Mei is a sweet and wealthy businesswoman. She owns a modeling agency and lives a good life. Ning loves to play tennis and travel around. Does that match your interests? Noppawan is very simple. She says she is easy going and loves cats very much. Thi My Tien is a sincere, honest, open minded and lovely girl. Wenyan lost her parents and feels like she's alone in the world. She's looking for someone to relieve her pain. Jinfei loves cooking, house cleaning, and reading,..if you're interested in the same things, she'd like to talk to you. Yujin has a lot of money, but she doesn't like the rich lifestyle sometimes, because she feels like people are just using her. Dandan has her own business. But her passion is traveling, so she always travels to different destinations when she is free. Qing likes dancing a lot. She is tender and soft lady in both heart and body, and she is never rude. Mengzhen has a kind heart, she loves helping others in need, loves to smile. Her life is colorful and interesting. Yanfen is honest, passionate, and confident young woman. She goes to dancing school and hopes to be a professional dancer in the future. Huiyan loves doing yoga and pilates. She likes to travel and to learn about foreign countries and cultures. Minfei is a beautiful young lady who wants to find a man who will appreciate her inner beauty. Some of her hobbies are painting, dancing and singing. Qin is a generous, romantic, kind and calm person who can get very serious about human rights and justice. Her man needs to be calm and easy going person who will have the same passion for life with her. Beibei's biggest dream is to travel around the world and to meet foreign cultures. She wants to study psychology and to help people when needed. Xingxing is a lovely girl, she likes to read books and take long walks through the woods. She hopes to find a gentleman and to spend a nice life with him. 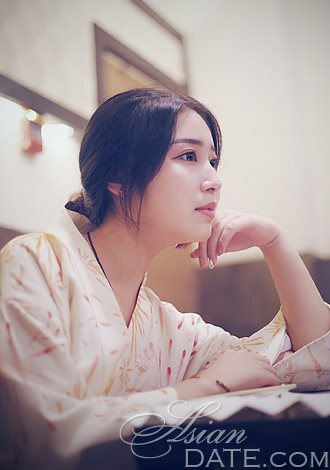 Yue is a beautiful young lady, she likes to go to the movie, watching tv and spend calm evenings with a person she loves. Mei wants to find the man that can accept her and share his thoughts with her. She likes to dance, and traveling is her great passion. Bingyan is a cheerful and optimistic girl, has a lot of friends and thinks that love is the most important thing in life. Thi Ngoc Maii is a responsible, caring young woman. She wants to travel around a world with a nice man of her dreams. Phuong Quynh is a sincere, honest, open mind and lovely girl who likes children and dreams about a happy family. Phattranist is a very nice lady with good manners, likes traditional values in life. She needs a real gentleman to spend her life with him. 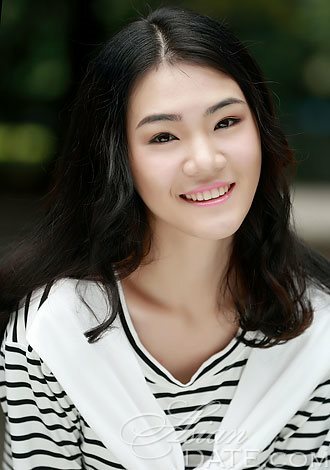 Hoang Yen loves to read a good book, to go to a theatre, and to watch an interesting movie. She is ready to find someone who will share his life with her. 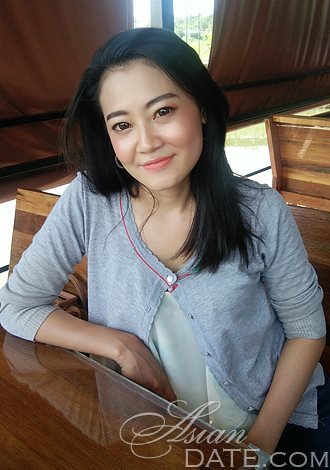 Thi Truc Ly is a passionate young lady who needs love and is ready to give love back. She is sincere and kind to her friends, so she means a lot to them. Ti Cam Truc is a teacher and her biggest love is teaching children. She is a kind, nice girl ready to meet a man of her dreams. Yayun is a warm, pretty lady with a romantic soul. Her man doesn't have to to be perfect but has to protect her and to love her with all of his heart. Books and long walks are her passion. Romantic and lovely girl Dajuan thinks that happiness and love are all you need in life. She has a lot of friends and a big family. Her future man has to be a kind, sincere and humorous man with similar interests in life. TingTing is a quiet, honest, loyal, hardworking woman. She studies English and her dream is to visit Europe one day. She hopes to find a true love and to live nice and happy for the rest of her life. Wen is an independent, mature and elegant lady who knows what she wants in her life. She travels a lot to different countries and learns about other cultures. A man she wants to meet has to be a real gentleman with a great sense of humor. Xiaoxiao is a young girl with big plans in her life. She wants to have her own business and travel all around the world with her partner. She is a sympathetic, caring and honest girl. Lu pays special attention to her health so swimming and dancing are her daily routine. She's ready to start a family with a nice man. 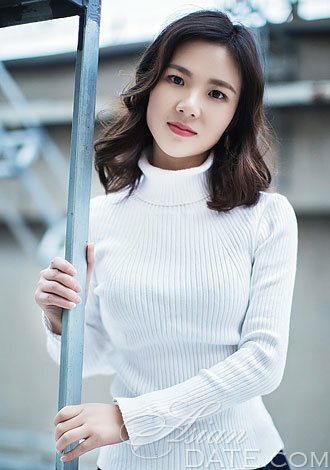 Dong is an attractive young lady, yoga and dancing are her hobbies. Looking good is her priority. Shu Min is an active, simple, and easy-going person. She's a big fan of any outdoor activity, nature and animal lover. Her dream is to fell in love with a real gentleman. Kejing likes to travel and to meet people from all over the world. She is a lovely and sincere girl ready to start a new life with the man of her dreams. 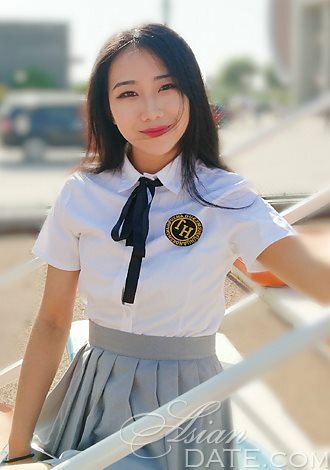 Xiaohui is a bright, energetic young lady. She likes long walks in the woods and everything related to nature. A big happy family is her biggest dream and she hopes to find a sincere man who will make her the happiest woman in the world. Suwannappa is a creative and happy girl. She likes shopping and having lots of fun. Music and books are her favourite way to spend free time. Lin has a positive attitude towards life and always has a smile on her face. She likes adventures like climbing and camping. Ling is a gentle, kindhearted, elegant young lady. Due to her work, she goes to a lot of business trips and enjoys discovering new places and cultures around the world. Fang is a sincere, kind girl, loves nature, long walks, swimming and running. She hardly waits to find a nice man who can give her true love. Wenfang is a sweet young lady works at the city hospital as a nurse. Helping people is her true love. Reading and watching movies are her hobbies. Sharmishta is a very enthusiastic and happy person. She is very comfortable with people who are not judgmental and can open up easily for a conversation on any topic. Jyotsna is a very communicative person who loves to talk about life and future. She is a dreamer and believes in fate. Yeping is searching for someone who is looking for a long term relationship. Someone family oriented. Yu is a typical Chinese woman, she owns her business, but plans go back to home life after she gets married. Yuxin always has a smile on her face. Do you like it? Ask her about her life story. Anuradha is an open, sensitive girl who wants to have a big family. Jianing is a gentle and creative girl ready for a serious relationship. Luna is a lovely and optimistic girl, she is full of energy. She has a good attitude and likes challenge and adventure. Shao Na spends most of her time studying music, and she is so happy that she can do what she's interested in. Zhou Lin is not a wild girl. She doesn't go to clubs or karaoke, she's pretty low-profile. She longs for the ordinary life, warm and sweet. 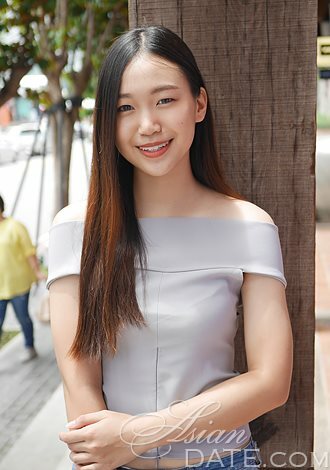 HongWen is a financial manager in her father’s company. He wants her to inherit his company after he retires. Meili is a passionate and brave girl. She believes fortune smiles upon the brave and frowns upon the cowardly. Rui is a happy woman and she likes to enjoy all kinds of fun. She wishes she could do a lot of things together with you. Yuanhong is looking for someone passionate and romantic, who is always good to a woman. Dandan feels life in a big city is too lonely and tiring. And she is a kind of a woman who really needs love. Although she is 22, Sherry think she is mature. She started working at a very early age. Abby is an open-minded, active, optimistic and progressive girl who loves freedom and adventure. Yuke is a motorcycle lover. And if you have same interests as her, she would like to talk to you. Mi Xue is an independent woman, but she doesn't want to pay all attention to her business, she wants to find someone to fall in love with. Feiyan wishes she could find someone who loves her, he just needs to be honest with her. Jingjing like mature men with a sense of humor. She is looking for someone open and romantic. Xuening likes doing sports, yoga, and so many good things. She enjoys traveling with her partner or family. Liyuan likes travelling a lot. She also loves cooking, photography, movies, and outdoor sports. Yi loves to listen to ballads, would you like to do that with her? Or maybe watch comedy movies or dance with her? Let her know. Ruiliang likes singing, dancing and reading books. She wants to meet a passionate man. Zhiqi thinks snuggling up on the couch at home to watch movies is so romantic. She warns you though you may not see the whole movie because she'll cover you with kisses. Dou wants a man who can make her feel relaxed and comfortable, a man who will love her wholeheartedly. Ye's father and mother moved abroad five years ago. They prefer life abroad, and would want her to marry a foreigner. Denghong wants you to know that she chooses different country for traveling every year. Will you be by her side next time? Yujie is romantic, tender, and easy-going. She wants to enjoy every moment in her life. Xiaojing says she is a girl with nice temper who knows how to love. She is easy to get along with. Mengxue likes reading and watching sports. Would you like to keep her company? Wanqing is easy-going, outgoing, passionate, open-minded, and loving. 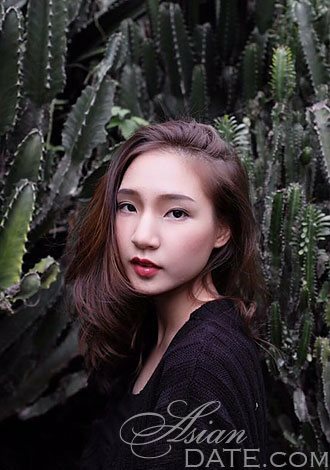 Pariyakorn is looking for her man. She wants a guy who would honestly care for her, a generous man with warm heart and strong hands. 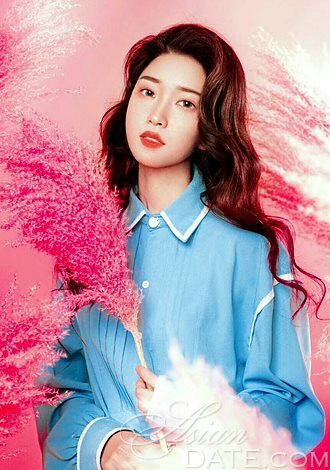 Yixue is a rich lady who comes from an educated family, running a wine business. Xiaohong is a young, mature, independent, smart, elegant and loving lady. Yun says she is a "passionate lady with splendor in my eyes and flame in my soul". She also hates cheating. Xiaoying wants to find the man who will enjoy simple life with her. Someone who is not complicated and can accept all of her. Hui is respectful, sincere and tolerating. She has gone through some rough stuff in her life so now she is very understanding and open to new things. Yijing is an intelligent, decent and honest person. She likes to speak her mind. Xiaopan wishes to meet someone bold, passionate, romantic, and adventurous. Someone who likes traveling, she yearns for a free way of life. Ge is a beautiful young girl, outgoing, energetic, and wild. She's like a child who is curious about the world, and wants to try everything fun. Han often takes care of the stray cats. She loves animals and loves to help them. Yanqing is very young at heart, she loves all fun things, like singing, dancing, traveling, and cooking. Leyi is very mature. She knows what she needs to do, and she sticks to it. She treats her whole life as her work. Shengjun's father travels for business to many countries, so it's easy for her to travel abroad. Would you like to meet her somewhere? Mei Li is a simple and passionate girl. She is open and clear, she likes being direct with everybody. Yuosen's parents are Chinese and Thai. She lives alone on a beautiful Island, Xiamen, close to her family. Smile is Jiahui's biggest feature. She can pass any obstacle as long as she brings her smile with her. Liwen says she is just a simple girl who is a optimistic, cheerful, elegant, generous, tender, honest and faithful. Mengfan doesn't talk much. She loves reading, singing, dancing and hanging out with friends. Krystal loves to keep things simple. She loves her pets, singing and painting. Yini is young but very mature for her age. She says she is 19 but behaves like she is 30. Xin is looking for a boyfriend. She wants to find a person who respects himself and people around him. Jing is an out-going and humourous girl. She likes to smile and laugh. She loves traveling and new things. Yuanyuan is sweet and outgoing. She is a tender lady who likes singing and dancing. Jiaqi wants a soulmate. She can use money to travel the world, but she can not use it to experience a true love. 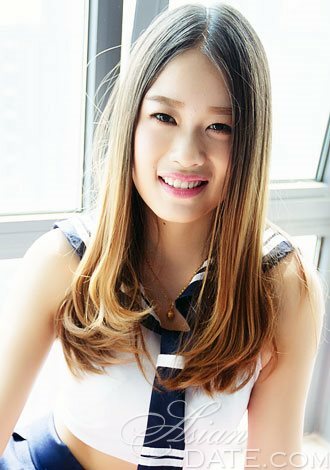 Dong is an easy-going lady, with a good sense of humor, trustworthy and lovely. Shumei is very sincere. She is looking for a man who is mature and has a good personality. Xueyi is a lovely, kind, good hearted woman. She likes to try new things and likes to improve herself. Every month Yi donates money to poor areas. She wants to help children because she doesn't anyone to have an unhappy childhood like her. Yuan is a sweet lady who wants to find a caring man with a sense of humor. Attaporn is a fairly quiet woman who is normally predictable but she can be whimsical every so often and then do extraordinary things. Min needs someone to rely on, but not economically, just emotionally. She is too passionate to spend her life alone. Ji is looking for a soulmate to comfort her in lonely nights. She believes in fate. Meiying is an outgoing lady who likes smiling. She believes smile can eliminate problems, and makes it easier to be in a good mood. Xiaoyuan hopes her enthusiasm and openness won't scare you away. Yueyue wants to find her soulmate, someone who will tell share with her all of his sorrow and happiness. 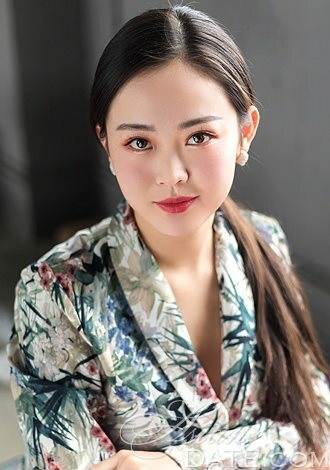 Shuyi loves singing, dancing and traveling. She is also someone who knows how to love. Siyu is an optimistic, enthusiastic, kind-hearted, caring, and independent businesswoman. Mingyue is an emotional girl. She dares to chase after something she wants. She tries to always be positive. Qiuru likes traveling and dreams of traveling all over the world with you, climbing mountains, enjoying seaside, watching sunsets and dawns. Liu thinks you should stop your search now, because she is the one you were looking for. Zhixi is an independent, confident, generous and loving lady with calm character. Her friends say she has a very good temper. Xue is kind, sweet, soft and likes the feeling of being independent. Ruwen has a wide range of interest. She is fluent in English and loves traveling. Yingyi is a warm hearted girl, she loves outdoors and travelling for exercise and experience. Liying likes to make people happy, she is an advantageous girl who likes to try new things. Wan loves philosophy, poetry, and is crazy about Chinese language and literature. She is also very intrested in history. 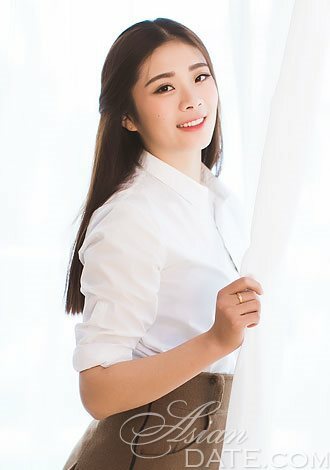 Ying is a real estate broker, she enjoys her work very much, because she meets all kinds of people and learns a lot from communicating with them. Thanh is an easy-going and a cheerful girl. She is just a simple, independent, thoughtful young woman. Alexis loves doing yoga, Pilates and working out in a gym. She is looking for a passionate and sporty man. Ling love readings, especially novels, essays and poems, history and romantic topics. Na likes to like listen to music when she has time and loves to drink a glass of red wine now and then. Ping is a positive, simple and easygoing girl who loves to play badminton. Jing is an outgoing and passionate girl who believes love has nothing to do with age. Has is a girl who desires to love and be loved very much. She is family orientated, independent thinker and would be a supportive wife. In work, Yiyu is a really strict, serious, influential and powerful boss. But in life, she is a sweet and funny girl. Yahui is mature, considerate, sweet, patient, compassionate and affectionate. Wenjing loves animals, and she always takes care of strayed cats. Do you like animals? Do you have any pets? Let her know. Kim Thuy is very humorous and lovely girl. She loves smiling very much. She thinks smiling can make anyone look more beautiful. 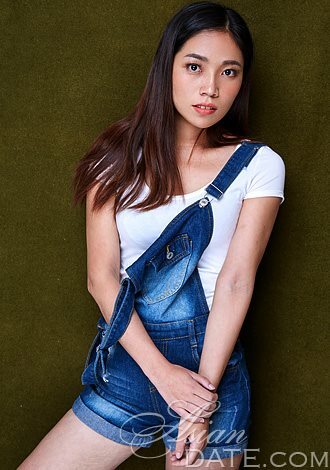 Ngoc is looking for a man who has a lot of knowledge and experience. Le Thi is ready to accept all the responsibilities love and marriage bring. She is a kind and gentle lady. Meixia's mother is Russian and her father is Chinese. She is a kind and gentle woman who was raised by loving parents. Yunjie (or you can call her Doris) enjoys music, hiking, picnics, mountain climbing, reading and singing. Do you have the same interests? Nina's friends say that she looks much younger than her age, what do you think? Hanjing is a hardworking and optimistic lady who lives in Beijing and often feels lonely. Her parents want her to do blind dating, but she doesn't want to marry a person she doesn't know. Jia is an outgoing and fashionable girl. She loves to try new things and she's sincere and honest to people. Li is looking for a man who loves family, does not smoke, likes to travel and eat delicious food. Qingmin wants a man who is decent, gentle-hearted, good tempered, responsible and humorous. Xiaofeng is a very active person, positive, honest, open, passionate and eager to learn new things. Hely is a determined woman, with a sense of humor. She is also frank and capable of solving any difficulty life throws at her. Suohong is creative, disciplined and well-educated, energetic, gentle, faithful and motivated. Yujuan says people have a tough time accepting her because of her job? Could you guess what it is? Tell her what you think. The man Min will love must be responsible and reliable, humorous and romantic, and he has to feel the desire to protect her and take care of her. These are the things Tuong Vy loves most: good music, a cup of a hot coffee with milk, a slice of a good cheese, her friends and her cat. Wenjing hates complaints. She is an optimistic and active lady. She likes to spend time outdoors to relax. Huanhuan comes from a rich family, and money is not important to her. She would love to be with a man who is passionate and gentle. Jie Mei is here to find a man for marriage, not a pen pal. She doesn’t care for just chatting, she hopes you two could meet face to face soon. Caihong is an intelligent, very funny girl in a goodshape, who enjoys leading a healthy life. She owns a flower store and a cafe. 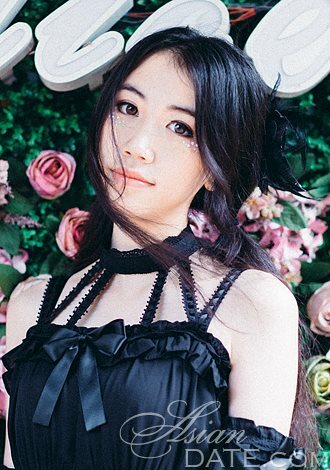 Erqin (or you can call her Emily) has been living alone in the past few years. In her spare time she likes to be close to the nature and travel. Thuy Kieu is a little woman with a big smile on her face. She has a good sense of humor and loves to live her life in a peaceful environment. Peiye wants to see the reflection of herself in your deep and passionate eyes. Her friends say she's got a beautiful body but even more beautiful heart. Xiaofang would love to find a man who is humorous, romantic and a distinguished gentleman. Xinyue is an open-minded, passionate, active and brave girl. She would respect her partner greatly. 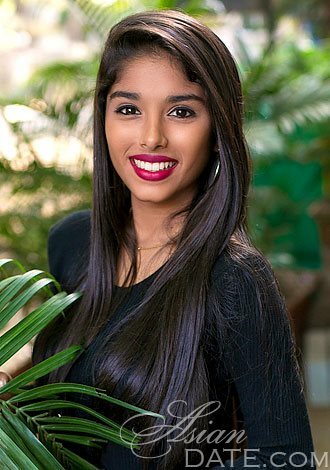 Chananya has a good sense of humor and likes to see smiles on the faces of the people she loves. Quan is a kind and sympathetic person. She will always try to help a person if she has a possibility. 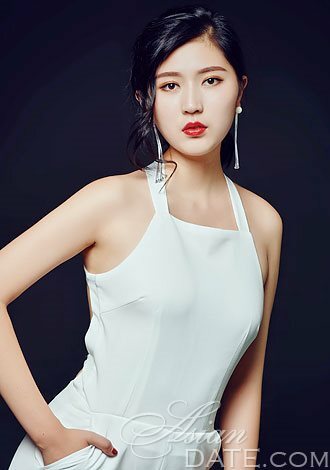 Yifan is convinced you will love her perfect figure, beautiful face, good background, good education and successful business. Rattikan loves telling jokes and making her friends smile. She is quite sociable and talkative. Bing is always smiling. She is outgoing, easy to get along with, enthusiastic and kind. Ha Thai Vy is a cute and kind-hearted girl. Her sweet smile can melt people's hearts. Thi Anh is a very happy girl, who likes to smile and make people around her happy. Thi Phoung is a nice and lovely girl, cute, and out-going. She loves talking to people. Tiantian is a sweet and warm girl. She was born into a warm and loving family, and is the only child. Could you guess Zhihui's profession? She has some clues for you: she often wears uniform in everyday life, and likes white things. Jing considers herself a devoted woman who could give the man she loves everything, he just needs to be direct and straightforward with her. Dejilamu is a very passionate, hot, coquettish girl with a bright smile and a perfect figure. Muli's ideal man is a combination of wit, appearance and character. She sees him brave, masculine, smart, interesting, cheerful and confident. Sijie is a sweet and outgoing girl born in a wealthy business family. Her father taught her to be strong and independent. Grace loves reading books, dinninng out, listening to music and golfing. Do you have the same interests? Shan is independent, confident and easy going. She has many friends and likes to have fun with them. Shuqui is a yoga teacher. She is an optimistic girl and loves to be kind of others. Anita is passionate, goal-oriented, and artistically creative. She is proud, tenacious, introspective, happy, and balanced. Lan Anh is a nice, honest and open minded lady living in Vietnam. She is very sensitive, emotional, polite and quite romantic. Jianping is mature and independent. She got divorced two years ago and learned a lot from it. Hui is mature and smart. She is independ but she's eager to be loved. Mingxia is a tender and kind-hearted lady. She likes little animals and beautiful plants. Zhou is simple and straightforward. She has a lot of confidence, but is pretty low-key. SiQin has a lot of fantasies and hopes. Can you help her achieve it? Sisi often does charity work in the orphanage. She loves to play with kids. Hanxue believes that nothing can defeat her. She is a confident, optimistic and open-minded girl. Shanshan is a generous and kindhearted girl. She is faithful to her family and friends. PeiPei likes cooking because her mother told her that's the safest way to a man's heart. Do you agree? Meihui is an outgoing person. She is gentle and likes helping others. Hanmei is an optimistic and passionate girl who likes laughing. But she is serious about love. Her friends call her Jingjing. In Chinese, that means she has soft character and tends to keep silent in public. If you want to win Yin over, you have to be polite and attentive. Ying is a sweet, faithful, lovely and romantic girl. She loves life, nature and animals. 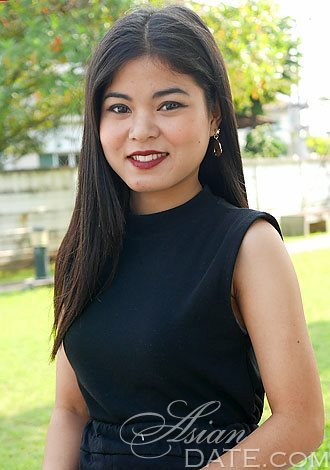 Poonnapha is a kind, open-hearted and optimistic girl with a good sense of humor. She loves optimistic people with a kind heart. Chatnitra is a very friendly and easy going person, and these qualities always help her make new friends. Porntiva is a very sincere, communicative and easy-going girl. She is very positive, resilient, and always in a good mood. Kusuma tends to trust her intuition too much and finds herself often in the oddest situations. Divya appreciates the beauty of life and finds it in small things around her. 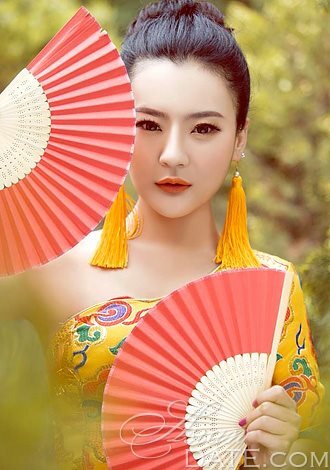 Qiyin is looking for a family-oriented gentleman. She hates playing games so she is looking for someone serious. Would you bet Lijun is a model? You would lose that bet - she's a jeweler from Shanghai. Samara is a gorgeous Filipina who is positive, confident and independent. Hui is looking for a man who will be gentle with his girl, someone who will take care of her. Li Li likes fashion. But she also enjoys cooking a lot of Chinese food, singing, and dancing. Hongju has a strong personality. She likes to try new things and she is down to the Earth. Are you the same? Shuai thinks she is a creative person. She has a quirky sense of humor that most people can pick up on very quickly. Maybe your first impression of Li will be that she is careless, but she's worth taking a closer look. Balagtas likes people very much and her favorite thing to do is to hang out with her friends. Gaijun's personality is energetic, enthusiastic, courageous, graceful, sociable, open-minded and confident. Qiaochu wants to know does your heart beat faster when you look into her eyes? Sha is a lady who likes to help the other people. She also thinks that it is important to be independent. Shiyun is very optimistic, cheerful and lively, but also strong willed. She likes a challenge because she feels that a girl who likes a challenge is very attractive. Xi is a sweet girl with a passionate heart. She needs her man to conquer her and be her king. Yi is little shy at first, but you will know her more after touching her heart. Fanshu travels abroad often since she was in high school. So she has been to a lot of places. Would you want to be her travel partner? Yeping is searching for someone who is looking for a lasting long term relationship and who is family oriented. Hong wants a mature man who is classy, well-mannered, sophisticated and worldly. Meng Yue is very passionate about her life, family, and friends. She is caring and loving, gentle and romantic. Xueqin still believes in real love. She believes that every person has his second half, his soulmate somewhere. Qilian is honest, loyal, faithful, outgoing, open-minded, passionate, independent, loving, and caring. Jennyvi runs a very unusual business, and she's ready to tell you all about it. Do you want to hear it? Qunshun doesn't want to play games. She has strong family values and is ready to create a family. 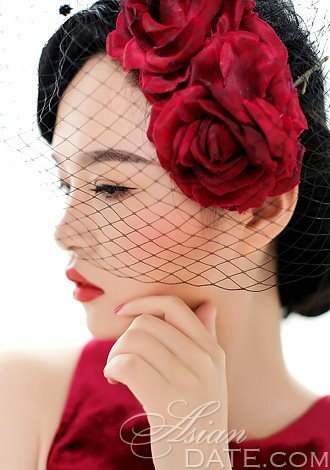 Jiayu wants to find her prince, the one and only, who will make her happy until the last day of her life. Xueyan is open-minded, humble and financially independent. She wants to love and be loved. Qiugu is a classical oriental beauty. She is eager to learn fresh new things. Meiting is a mature lady who is self-motivated and has a strong determination to succeed. Meiying is an outgoing lady who likes smiling. She likes to smile because she believes a smile can eliminate all the bad things in life. Manling is like a princess. She has a beautiful heart, and at the same time, she is pretty on the outside. Onanong is a hopeless romantic and enjoys spoiling the one she loves. Ruonan is a boss in her big family business, a clothing factory, so she is financially independent. Yafang is warmhearted and patient to others. She is always compassionate and emotional. Jingxian is friendly and would always help and support her friends with their personal problems. Qichun is a typical Chinese girl: kind-hearted, sweet, honest, hardworking and independent. Qianru is a genuine and honest woman, who is seriously looking for a good man to marry. Yue is looking for a man who is sincere, romantic, considerate, humorous and passionate. Work hard and play hard. That's Xin's life motto. Amanda loves nature, travel and photography. She likes fast cars because fast makes her feel excited. Ai Bo is looking for a genuine man to share all the ups and downs in life with her. She doesn't need Superman, just a normal man. Wei Ni loves listening to music, chatting online, to go camping, to play table tennies, and take trips with friends. Qiao is a passionate girl who is waiting for your passionate love. She doesn't want to hide her open-mindedness. Nireekshas source and direction of energy are in the external world. She processes information based on logic instead of emotion. Caimin always keeps her word and does what she promised. She is down to earth and acts responsibly. Xi says: To love someone is nothing, to be loved by someone is something, but to be loved by the one you love is everything. Shivani is a person who is positive about every aspect of life. She believes in success through hard work and dedication. Danyu is well-educated, efficient, energetic, faithful and frank. Xiaojing is a very loving and passionate woman who is confident and young at heart. Shuang is a woman that would sacrifice anything for the family. She is understanding, compassionate, passionate, idealistic and very family focused. Qianzhuang is educated, calm, kind and a has a warm heart. She is an honest, loving and affectionate person. Wei is a very romantic woman with a big loving heart. She is open minded, passionate and very mature. Lu is interested in hearing how's life in western countries. She would also like to tell you more about her country China. Yijing is an optimistic lady. No matter what difficulties is faced with, she would try her best to overcome them. Qian is full of life. She likes outdoor activities, small animals, flowers and trees. Mingming is optimistic and feels like she can overcome any difficulties. She loves to smile, and you will feel warm around her. Baoping likes singing, dancing, and travelling with others. She is looking for a mature man. Jun is a quite girl. She likes spending some time alone. She is also kind, friendly and easy-going. Huijing is a sunshine lady, always so happy and likes to smile. 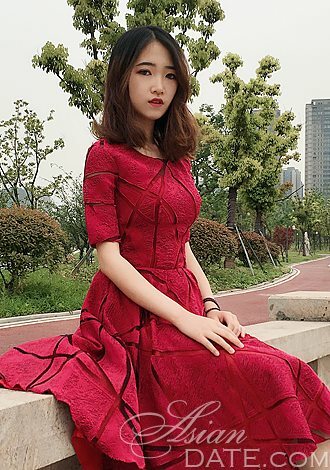 She is convinced she will find her love on AsianDate. Xuefen is easygoing, honest, caring, sensitive and understanding girl who enjoys treating men as they should be treated. Wenting is a beautiful, elegant and graceful girl with black and bright eyes. Though she looks very young, she is mature and self-motivated. Conglei is a happy and cheerful girl. She loves life with all its challenges and changes. Liuijang says good love makes you see the whole world from one person while bad love makes you abandon the whole world for one person. Binh is full of passion and enthusiasm. She likes doing sports, running, hiking, and yoga. She is a very active girl. Ying is a simple loving lady. She is happy every day and wants to share all her happiness with the people around her. All of her friends say Bin is gentle and lovely. Time to check for yourself on AsianDate. Qian is a sunny girl who likes helping other people, a simple girl. She also likes humorous people. Qi's job gives her the chance to travel a lot to beautiful places and she loves traveling. But she also loves staying at home, reading. Chaoru's man could be tall or short, white or black, handsome or not. She doesn't pay much attention to the way people look.